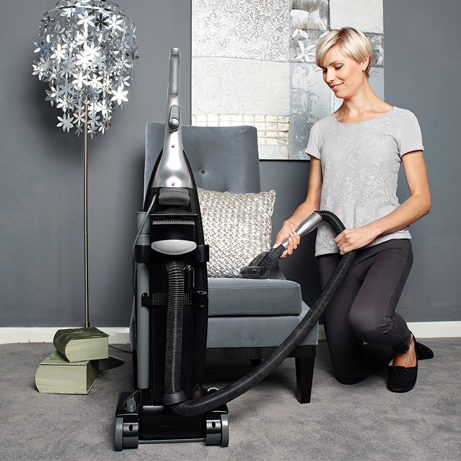 This Hoover Upright Vacuum Cleaner labelled ‘Pure Power’ is designed to withstand the most challenging of cleaning tasks and is packed with features to keep your home spotlessly clean. 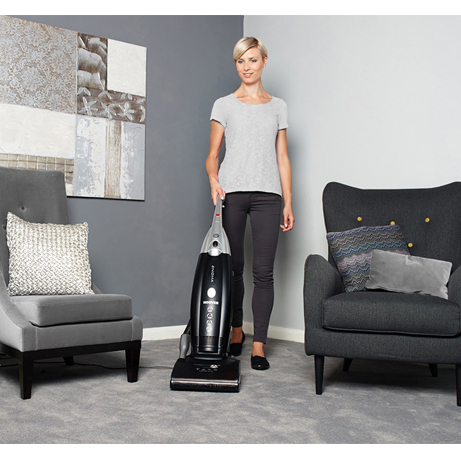 Designed with edge-to-edge cleaning, this bagged vacuum will quickly lift dust and debris on floor edges and against skirting boards. This model has a longer cord, so that you can reach further without having to stop and unplug. The handle reclines back virtually flat to the floor, making it easier to reach under sofas, beds and other furniture items for a thorough clean. 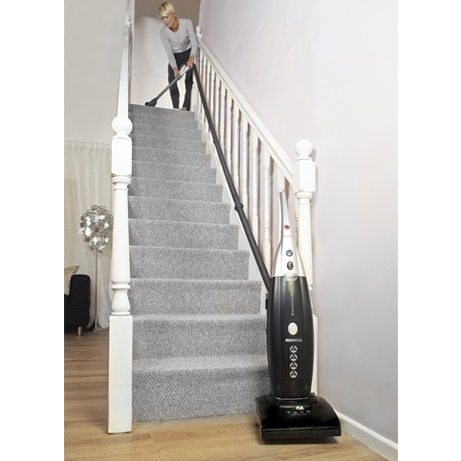 Thanks to a hose that stretches to 4.5m, you can clean a full flight of 13 stairs without having to balance or move the vacuum from the bottom step. Gives an increased performance to confidently and powerfully pick up unwanted pet hair that may have become embedded in the fabric. 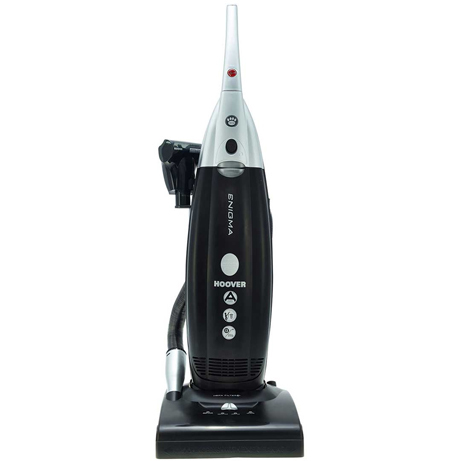 Achieves the high ‘A’ rating for dust pickup in lab tests on hard floors and carpets, along with an ‘A’ for low emissions, making it suitable for allergy sufferers, and an ‘A’ for energy efficiency.